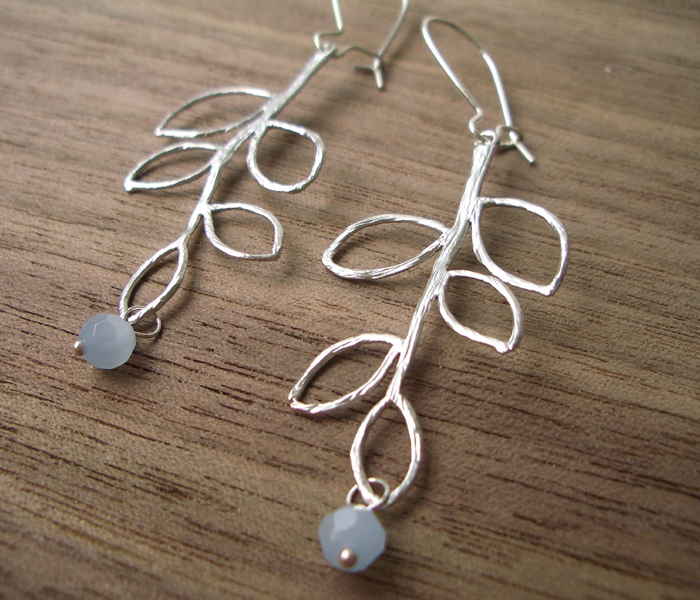 Long branches of leaves end with a glass bead on these elegant silver earrings by designer Shlomit Ofir. Jewelry designer Shlomit Ofir's collection of fine nature jewelry inspired by the outside world includes these lovely open design silver earrings. 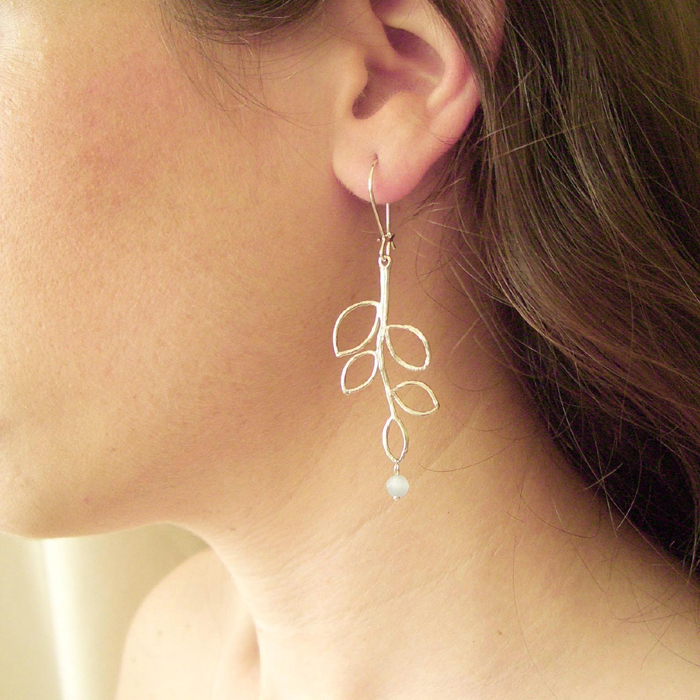 Each earring in this set depicts the outline of five leaves on a delicate branch. The end of each branch is accented with a single opal blue bead of Czech glass, which brings to mind a drop of dew glistening in the early morning. The leaves and branches of these handcrafted earrings are lightweight silver plate, and the earrings are attached to silver plated ear wires. The branches are slightly more than 1 inch (4 cm) long, and the ear wire measures 0.6 inch (1.5 cm), creating a delicate, classic piece of nature jewelry that plays on Ofir's fascination with leaf and nature motifs. Ofir says of her handmade leaf and branch earrings: 'I love these! They compliment any outfit.' Indeed, this set can be worn anywhere and flatter anyone. Lovers of Israeli jewelry and handcrafted silver jewelry will appreciate Ofir's work. These earrings make a perfect addition to any jewelry collection and are a fantastic gift.